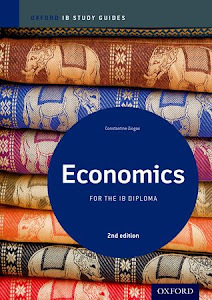 Green GDP is a 'new kid on the block' in the IB economics syllabus. The key phrase is '...environmental degradation and natural resource depletion...'! But it would be nice to be aware of some real world examples as the issue is closely related to negative externalities of production and sustainability. This article is from the New York Times: Cost of Environmental Damage in China Growing Rapidly Amid Industrialization. 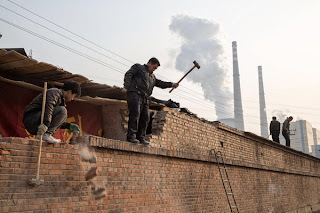 Quoting an economist from the article the issue China has is '...how to transform from the explosive growth of the past 30 years to the sustainable growth of the next 30 years...'. Unfortunately, "Free and Classroom Wikis are disabled' since July 31. 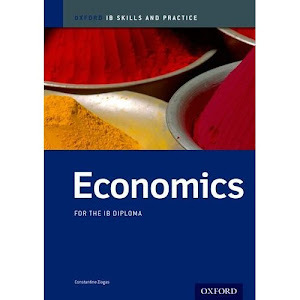 I am planning on setting up a site with files that may be of interest to IB Economics students. Got though to first learn how to do it! "All free and classroom Wikis will become inaccessible", so these pdf files will be posted somewhere else (as soon as I can get around this!). Sorry! at the Psychico College (HAEF) or anywhere in the world news and tidbits that may be interesting and/or helpful. Holder of a Ph.D in Pure Economics; used to teach at the college level in the US (Assistant Prof. of Econ) before returning to Athens and joining the IB program. Head of Economics and Deputy Coordinator at the Moraitis School IB (0346) . Currently, Constantine teaches IB Economics (Higher & Standard levels) at the Psychico College (HAEF; 901), in Athens, Greece.